This week (Jan 21. through the 28th) at New York City’s Anthology Film Archive come the films of award winning director Rob Nilsson and Cine Manifest, San Francisco’s 1970s Marxist film collective. Nancy Keefe Rhodes gives an exhaustive yet breathless preview of the films screened at AFA. But even if you aren’t in New York, you can get many on Netflix, from your favorite indie movie store, or buy them from the source; so read up, watch, and learn how Nilsson, the octogenarian everyman, demurs his stance over time, favoring art over politics. Agnes Varda has been making films since the inception of the French New Wave, a movement that ushered in the varied likes of Jean Luc Godard, François Truffaut, and the hard boiled cinema of Jean-Pierre Melville. 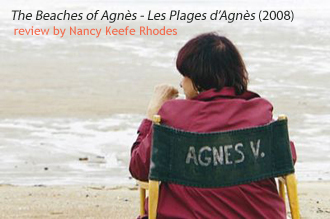 In Les Plages d’Agnès (or The Beaches of Agnès) (2008), Varda makes protean shifts with ease, from philosophical reverie to revealing insights into her relationships both to film and her main squeeze, Jacques Demy, a longtime lover and muse. Nancy Keefe Rhodes reviews. 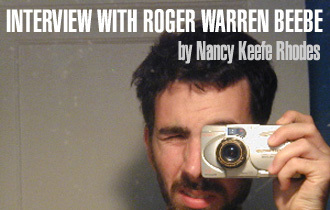 Filmmaker Roger Warren Beebe believes experimental movies are for the masses, and to prove it he led an avant-garde roadshow across the States. Nancy Keefe Rhodes talks with the director about his tour and the varieties of non-commercial filmmaking.